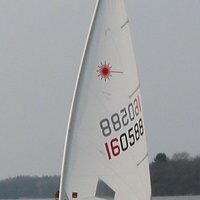 The Laser Radial uses a more flexible and slightly shorter lower mast together with a sail area 18% smaller than the Laser Standard. The Laser Radial has a large following with national and international regattas and World Open & Youth Championships attracting as many countries and competitors as the Laser Standard Rig. As well as a strong following amongst lighter weight sailors the Laser Radial is also used for youth, women and masters racing. Many countries now support a full Laser Radial Youth programme and in a survey of national yachting authorities conducted by the International Sailing Federation the majority replied that the Laser Radial was their preferred youth boat.